1, the power requirements are the three-phase AC, frequency 50HZ, voltage 380V, Motor and electric toggle the upper limit of allowable voltage rated voltage +10% (peak current); the lower limit of the rated voltage of -15%. 2, the working environment shall not have flammable, explosive and corrosive gases. 3, Installation altitude is less than 2000 meters, more than 1000 meters need to check the motor capacity. 4, lifting the goods on the Gantry Crane radiation temperature does not exceed 400 degrees Celsius. 5, The maximum working pressure of outdoor Gantry Crane is 800Pa. 1, Gantry Crane lifting capacity should be to achieve the rated weight. 2, the hook Gantry Crane, lifting material in the braking distance when the brake down (the controller in the slowdown in the lowest stable operation, back to zero, from the brake power to the goods stopped when the decline in distance) should be less than 1 Within one minute of the stable lifting distance of 1/65. 3, on the hook Gantry Crane, when the rising working level of M4, M5, M6, and the rated speed is equal to or higher than 5m / min braking requirements, should use the electrical braking approach to protect the 0.2 to 1.0 When the load falls within the rated load range, the motor speed before braking falls below 1/3 of the synchronous speed. This speed should be stable. 4, the suction capacity of the electromagnetic chuck should not be less than the rated value. 5, double-car Gantry Cranes, two cars the same mechanism of operation should be linked to the machine can also be a separate action. 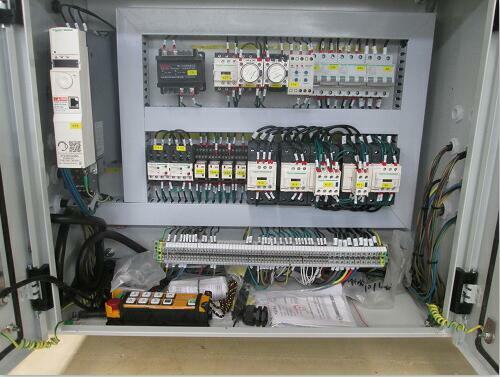 1, the general use of AC drive AC control system, in the use of frequent or poor working conditions, it is appropriate to use DC drive, control system. 2, should adopt the standard Gantry Crane electrical control equipment. 3, Gantry Crane sets of resistors should adopt standard products, such as special needs, the manufacturer can also design themselves, but must meet the relevant requirements in GB3811-2008. 4, other electrical equipment and components should be used for Gantry Cranes or can meet the requirements of the product. 5, Electrical products must have a production license or type of certificate or to meet the requirements of the Gantry Crane products.